Integrate TOPdesk with telephony platforms so your employees work more efficient and you improve your customers’ experience. ToastAR is a 360-degree client view tool for your contact with clients Service Management software helps you manage your customer interactions and helps you to boost sales, customer experience and marketing. By integrating TOPdesk with telephony platforms, your employees work more efficient and you improve your customers’ experience with your company as more customer-friendly and personal. 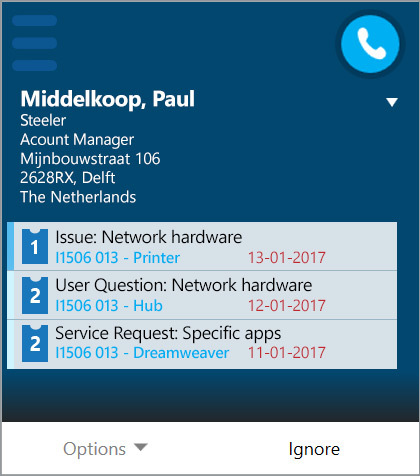 During an incoming call or chat customer data such as incidents are readily available with the telephone or Skype integration. 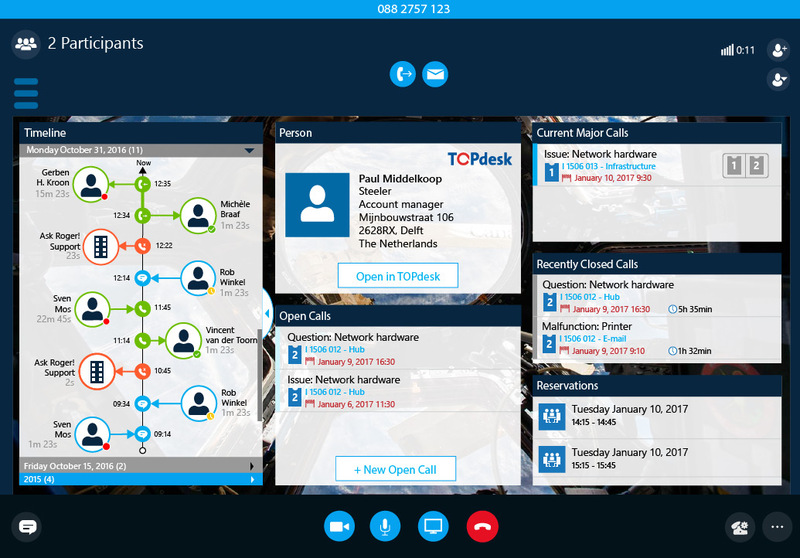 Clients and Contacts can be found and called directly from within TOPdesk. Improved customer experience: You are aware who is calling you from the start of the conversation, and you can address them personally by using their name. This improves the customers’ experience with your company and increases the chance of repeating customers. 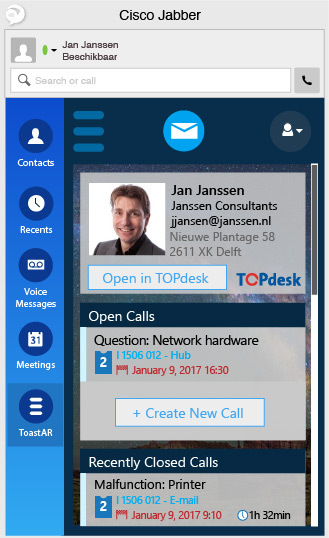 Work more efficient: During phone calls and chats all relevant customer information from TOPdesk is available in the ToastAR window. It is no longer necessary to ask for customer information, or to search for the customer. You can work faster and more efficiently.